Lena Dunham, 26, is a filmmaker who wrote and directed Tiny Furniture, and is responsible for the hit HBO series Girls, for which she recently won two Golden Globe awards and was nominated for four Emmy’s. 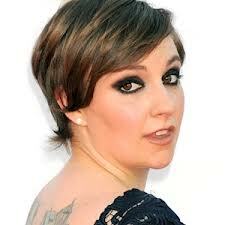 Born in New York, she is a protégé of Judd Apatow, who executive produces Girls. She also has her first book released for which she signed a US$3.5 million deal with Random House, to publish an essay collection Not That Kind of Girl: A Young Woman Tells You what She’s Learned. She is currently dating Fun guitarist, Jack Antonoff. Lena is in New York on a cold January afternoon casually dressed in jeans and a black shirt.